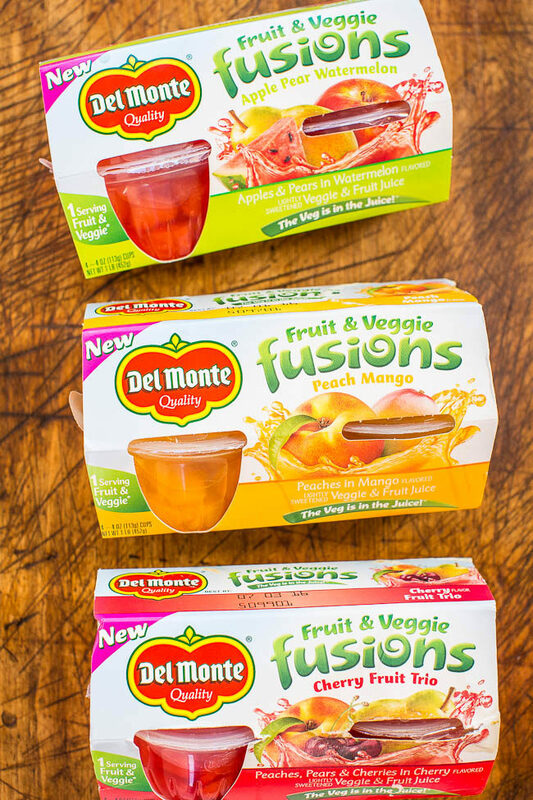 Recently I had the opportunity to try the new Del Monte® Fusions. It’s fruit served in a delicious, lightly sweetened veggie and fruit juice. There’ s Peach Mango, Cherry Fruit Trio, and Apple Pear Watermelon. Your kids will love the taste and with one combined serving of fruit and veggies, you’ll love it too. There’s no high fructose corn syrup and no artificial colors or flavors. 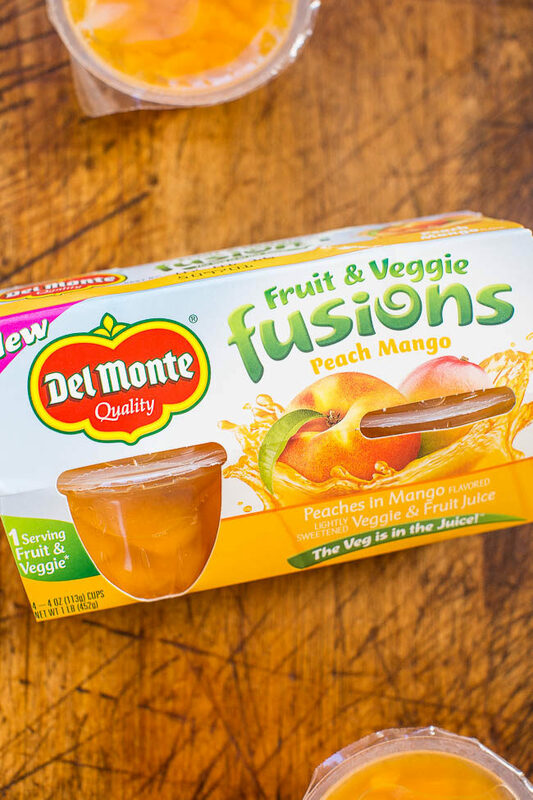 Del Monte Fusions are the only fruit cup with the goodness of veggies and the yummy taste of fruit. The veg is in the lightly sweetened juice but you’d never know it. This way you can pack some veggies in their lunchbox. My 8 year-old daughter had no idea and was utterly shocked when I told her there’s veg in her fruit. 1 serving = ½ cup Concentrated equivalent to ½ cup fruits and vegetables (75% fruit, 25% vegetables) per USDA Equivalency Database. Learn more here. You can enter the #SharetheSuper sweepstakes on Twitter or Instagram. 3. 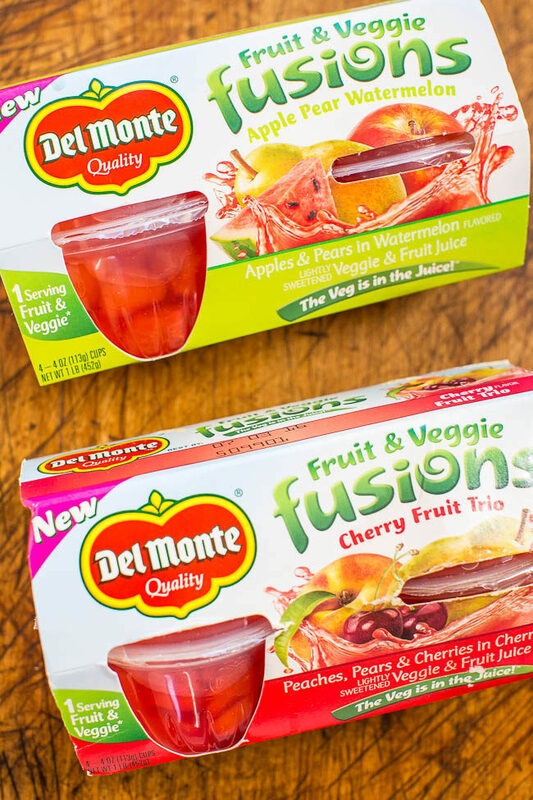 Winners will be selected weekly to win a branded backpack with new Del Monte Fusions inside & One grand prize winner will be awarded $2,000 at the end of the campaign. Visit www.sharethesuper.com for more info and $1 off coupon. Check out this Pinterest board for some healthy back-to-school lunch and super snack ideas.